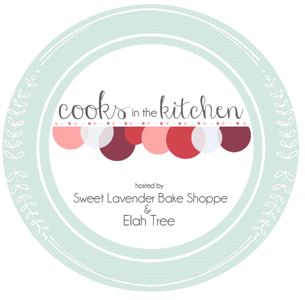 Welcome to another month of Elah Tree and my Cooks in the Kitchen Challenge! Cooks in the Kitchen is an opportunity to meet new bloggers, readers, friends; and COOK. We provide you with your main ingredient to cook with, then you have the rest of that month to scour through your recipes and find the perfect one. Then, at the end of the month, we will have a link up on both of our blogs where you can submit your recipe and blog post of your cooking creation and see how others tackled the same main ingredient. Super fun. In month's past we have cooked with semi-sweet chocolate, limes, and also with spinach. 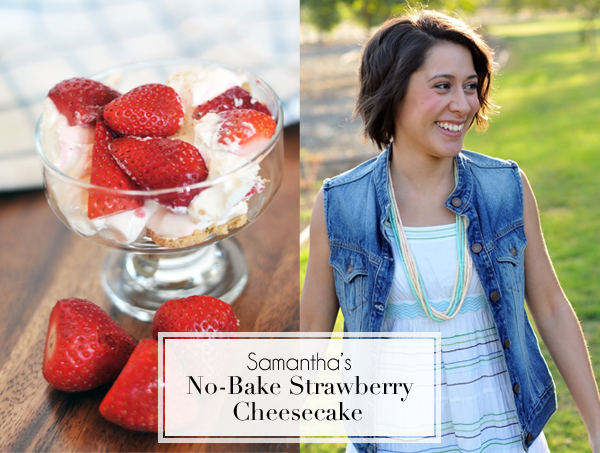 This last month's theme was one of my personal favorites- strawberries... Ahhhh, it's like heaven in fruit form. The rules are simple: make whatever your little cooking heart wants! Only rule, a main ingredient of your dish HAS to be the theme (in this case, strawberries). Easy enough. Strawberries are so fun to use! 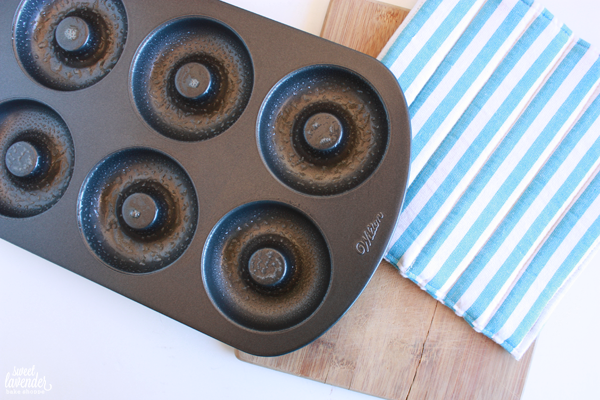 My tiny kitchen does not include a fryer nor do I like cooking with CUPS of oil, so when my husband surprised me with this Wilton baked donut pan, I knew there would be donuts in our immediate future! And donuts there were! Lots and lots (and lots) of baked donuts! First few batches were a little sketchy, but I learned pretty quickly the importance of NOT over baking. Baked donuts need to come out the slightest bit under baked, but by no means raw. Once that timer goes off, if they look moist, pale on the tops, and slightly springy when you press down- they are dunzo. So used to baking cakes and cookies, I was always looking for a nice golden brown coloring along the surface and a firm spring back when I pressed the top. Not the case with these. That's an over baked donut and will result in a dry, crumbly cake. Sure, the bottoms of the donuts (which will turn into the tops) get a little golden color, but what you see when you pull the pan out needs to be pale and light. To get the moist, melt in your mouth feel, stick with the above. Trust me. Preheat oven to 425°F, make sure racks are in center of oven, lightly spray regular sized donut pan with cooking spray, and set aside. 1. 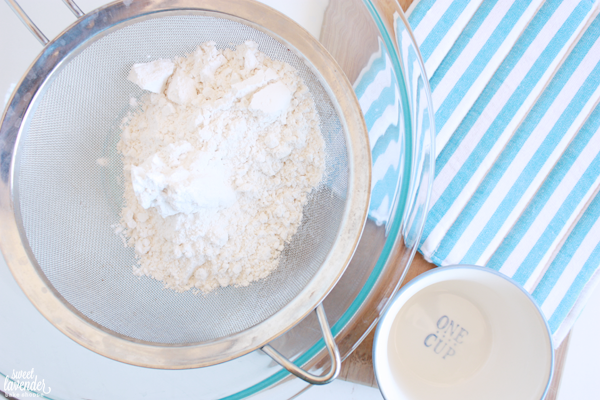 Into a large bowl, whisk together your sifted cake flour, sugar, baking powder and sea salt. Set aside. 2. In another bowl, whisk together your buttermilk, almond extract, egg and olive oil. 3. Add wet ingredients to your dry ingredients and beat together until just combined. There should be no lumps. 4. 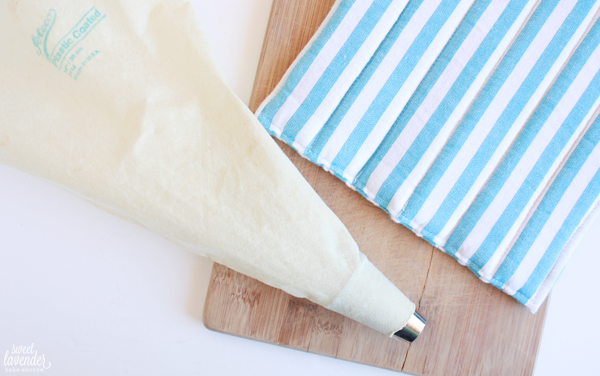 To easily get that donut batter into your donut pans you can either fit a piping bag with a large circular piping tip (I used a Magic Tip 9pt sized tip) OR use a gallon-sized ziplock bag with one of the corners snipped off. Either way, fill that bag and pipe batter into your pans so that they are 3/4 of the way full. 5. Bake pan in the center of your oven for about 9 minutes (no longer), turning pan around half way through baking to ensure even cooking and browning. Donuts are done when they have puffed, the tops spring back slightly when touched and are golden brown around edges and bottom. Please note- the tops (which will be the bottoms) will not turn golden brown. If they do, you risk over baking your donuts. 6. Let donuts cool in pan for 5 minutes before removing and allowing to cool completely on a wire rack. Donuts need to be completely cooled before they can be dipped and glazed. 1. While the donuts are cooling, add your jam and milk to a small (preferably non-stick) saucepan. Heat over a low flame, stirring occasionally, until the mixture has melted completely. Do not boil. Remove from heat and allow to cool slightly. 2. In a medium sized bowl, add your sifted powdered sugar. Pour your cooled milk and jam mixture into the bowl and whisk until combined very well. There should be no lumps. 3. Once donuts are cool, flip over so you are dipping browned side into glaze. Dip top half only, one at a time into the glaze, twisting so the glaze really sticks to each. Carefully lift up and place back on rack to set up. Glaze should be thin enough to coat entire top of donut but thick enough to not slide down sides. 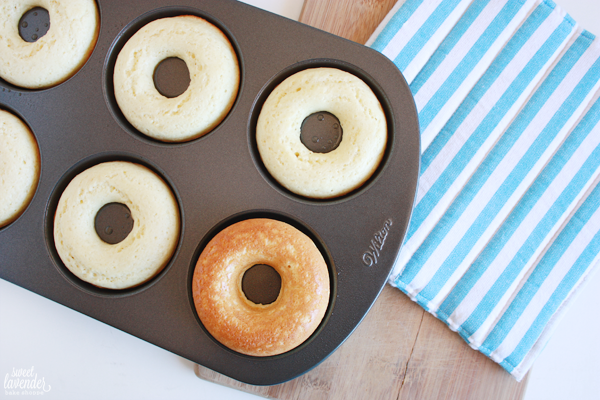 If need be, dip again once glaze sets up on donut. Depending on the brand of the jam you used, you may need to thin out the glaze with more milk or thicken it up with more powdered sugar. You want the glaze to be a like a slightly thin pancake batter. Let set up 5 minutes before eating or redipping. Donuts are best eaten that day. So now it's your turn friends! Link up your lovely strawberry recipes below! Can not wait to see what you guys have come up with! Berries are still so very very in season right now. So, we figured we needed to take massive advantage of that on do two months in a row of a berry theme. We hope you won't mind...but we doubt you will. Strawberries were so fun for me this month; my brain is already going a million miles an hours thinking of what to incorporate blueberries into. Eeeeeep! I may be JUST as excited about this next month as I was last month. Totally July worthy too. With fourth of July coming up pretty quick, these blueberries will make the perfect addition! Happy cooking! Also, if you are interested in advertising your blog and/or shop, head on over here and find out how to do so! Through the end of the month make sure you enter code: JUNELOVING for 20% off ANY ad spot on Sweet Lavender Bake Shoppe! Wheeeeeee! Linking this blog post up with Chantel! Almond and olive oil donuts sound amazing! Your donuts look super delicious!!!! I don't have a donut pan but I bet my sister does so maybe I could talk her into making some. 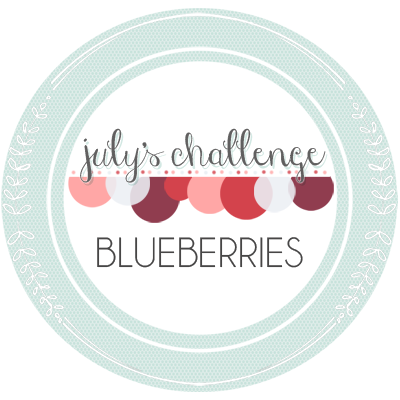 PS - I'm super excited about BLUEBERRIES! They are my favorite summer fruit. ;) I bet you could make these gluten free in a jiffy! Good insights! I'm glad it went so well for you. I don't think culinary school would be worth 2 years for a hobby, I agree with you. What I do love though is that I can learn a tip or trick from everyone's kitchen I visit. Seriously! I've learned so much that way. I have also taken a cooking class here and there, which has been fun too. Ooh, I have that donut pan too! I love the sounds of these, I'd like to make a GF version. And I'm definitely going to be trying out that glaze! This looks so good! Seriously! Now I want some doughnuts! These tiny little jewels were so delicious! I think it's time to break that pan out again! 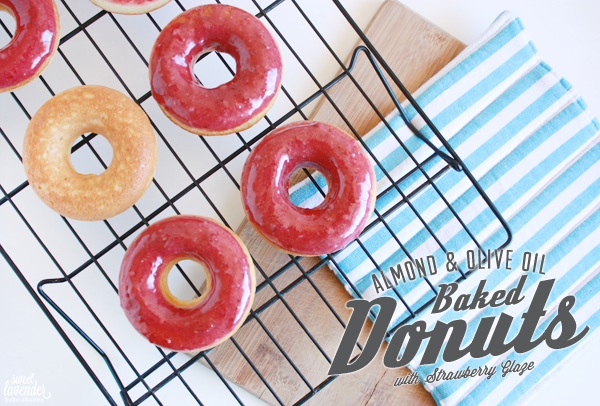 Love almond and olive oil cake, bet these donuts taste as delicious! 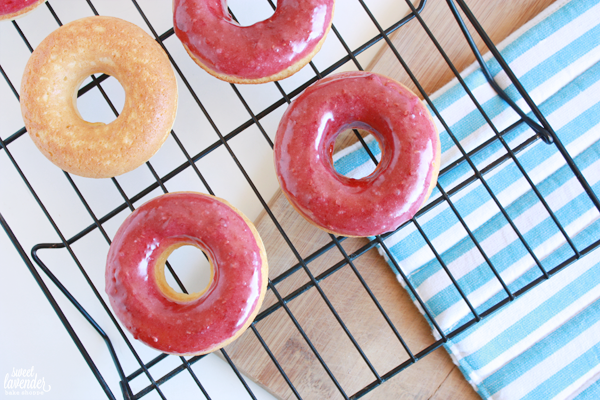 And the strawberry glaze gives them an amazing color! ;) So hope you try em! These photos are beautiful and uhhh these look so amazing! This looks sooooo amazing! Not only do they look delicious (like everything else you make), but they are oh so pretty. I want one now! Those donuts!! They look amazing and are picture perfect! 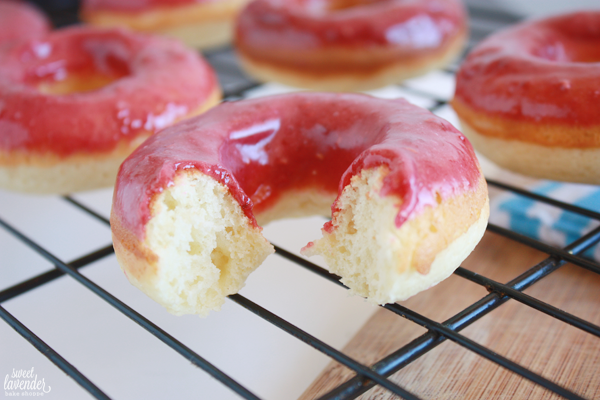 I've never had a strawberry glazed donut but now that needs to happen, haha. Soooooo hope you make them!